Enjoy this delicious side dish with your Milford Valley chicken entrées. Combine mayonnaise, sugar and vinegar in bowl. Mix thoroughly until sugar is dissolved. 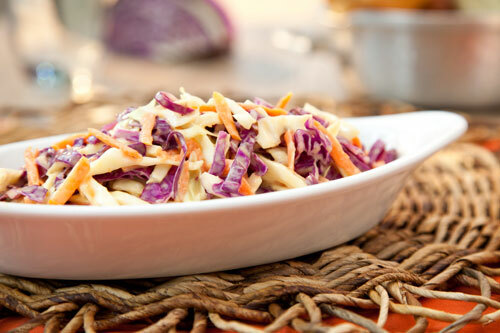 Place pre-mixed slaw into serving bowl. Sprinkle lightly with salt, add mayonnaise mixture, enough to coat vegetables and toss. Hold in refrigerator until ready to serve. Reserve leftover dressing for later use. Privacy & Terms | © 2019 Milford Valley. All Rights Reserved.